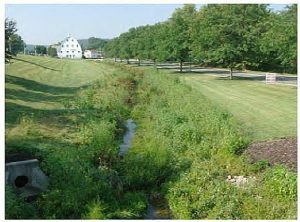 Project Description: Project entailed drainage design, sanitary design, stream restoration, obtaining (2) Water Obstruction & Encroachment permits, (3) NPDES permits, and (5) HOP permits. Hebert, Rowland & Grubic, Inc. (HRG), the Township Engineer, provided surveying, preliminary and final design, hydrology and hydraulic analysis, natural stream design, technical specifications, preparation of easement plats and negotiations with property owners, utility coordination, Norfolk Southern coordination, preparation of a Project Manual and bidding documents, contract award services, contract administration services, and construction observation services. Construction of the project lasted over two (2) years. Issues Encountered: Issues encountered included deep pipe installation depths (20+ feet) and numerous sinkholes due to the karst geology underlining the Township. 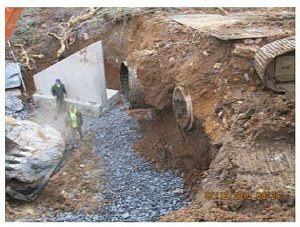 Over 50 temporary construction and permanent drainage easements were obtained to work on private property. 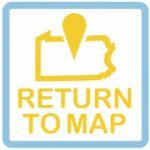 Addressing all of the individual property owner’s expectations of final restoration was challenging. Funding Stream(s): HRG developed a funding strategy, prepared the applications, and secured the necessary funds to make this project a reality. This project was funded through a $4.3 million dollar H20 Grant and a $1.8 million dollar Pennsylvania Infrastructure Bank (PIB) loan. The original construction contract awarded for $5,358,810.